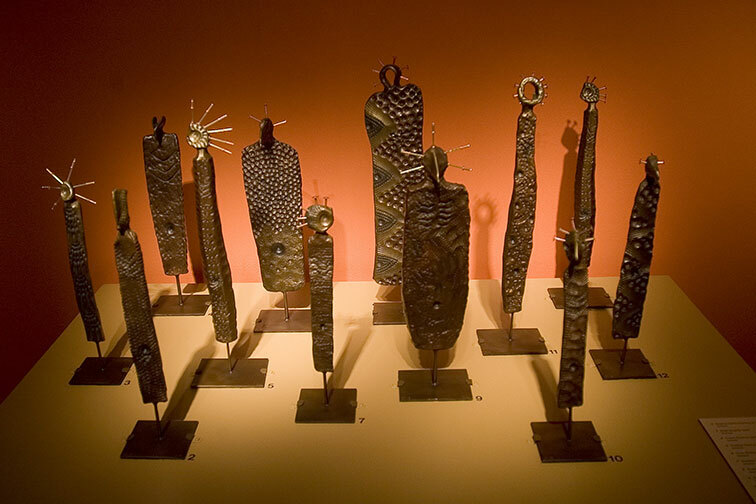 Bronze sculptures reflect Native American culture of the Columbia River Gorge. I use bronze for some of my works of art because it’s rock solid and lasts forever. As all my art does, my bronze sculptures reflect Native American culture of the Columbia River Gorge. I like creating art using bronze because it has a great deal of “heft.” It reminds me of the rock media that my ancestors used in creating their rock carvings and paintings for so many thousands of years. And so, I feel that the use of bronze is a kind of testimony to the longevity of my people. It’s also testimony to the strength of the traditions that are still practiced today. Working in bronze helps me to stay in touch with the idea that some things some things are meant to last forever. The process of creating a bronze piece is long and complicated. It requires the expertise and collaboration of a number of people, and there are multiple steps in the process. The artist starts the process by creating the original work, usually in clay or wax. Lillian began the process with the clay, as clay was the first medium she had worked in. Her first bronze pieces was of She Who Watches, which ultimately became her signature piece. I really loved my She Who Watches clay pieces. I thought that they were all beautiful. But I wanted to create some of them using a more enduring material. After all, the real She Who Watches was carved into rock a very, very long time ago. It’s been overlooking the Columbia River, watching out for her people ever since. Once the original work of art is created, the foundary process begins. A mold is made of the work, usually of silicon rubber or plaster. Special wax then gets poured into the mold so that it coats the inside of the mold evenly and completely. A shell made of silica is then coated on all of the wax surfaces. The wax then gets burned out of the shell (hence the term the “lost wax” process). The shell is heated in a kiln, and at the same time, ignots of bronze are dopped into a container and melted to about 2,100 degrees. The molten bronze is poured into the shell. Through a process of controlling temperatures in the kiln, eventually, the bronze pieces harden and are then left to cool. When the bronze has cooled sufficiently, the shell is removed. Finally, the patina is applied in accordance with the artist’s vision for the piece. Every step in the process is as important as any other step. At any step in the process, a work of art that might otherwise be destined for a happy life, could be destroyed or severely damaged. Lillian Pitt still creates clay masks and sculptures, though she balances her time working in clay with other media she works in. She also works in media including bronze, jewelry, glass and mixed media.